Bethany Educational & Social Training Institute. Private School. Pre-primary & primary education using the A-Beka Curriculum for ages 2 – 12 years. An International School experience delivering world-class holistic education using the globally preferred International Primary Curriculum (IPC) ages 2-11. The International Middle Years Curriculum (IYMC) ages 12-14. Our mission is to provide a world-class international education that prepares students to be world citizens and lifelong learners in the 21st-century. Our vision is to become the leading school in the Turks and Caicos Islands and to develop an international reputation for excellence in education. UK based international curriculum for children aged 14 months to 12 years. An excellent multi-cultural, private Primary School, following the National Curriculum of England for 2-12 year olds in the Turks and Caicos Islands. Offering an international recongised standard of education for year 7-10. Private co-educational institution that is owned and operated by the Turks and Caicos Islands Mission of Seventh-day Adventists. Private school with students aged 5-20 aimed at those for whom English is a second language. Charisma University recognized by Turks and Caicos Islands Ministry of Education, BAC accredited, ACBSP accreditation candidate and institutional member of American Council on Education, offers accredited undergraduate, graduate, and post-graduate degree programs and certificate programs in various disciplines taught by over 100 faculty members. Education in nature, environmental education. Learning about oceans, island and the people who co-exist with them. 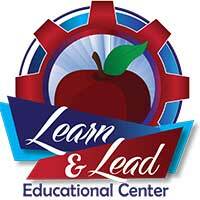 Learn and Lead Educational Center provides specialized tutoring, consulting and workshops services for students, parents and teachers on a variety of educational and leadership topics. Dormitory style oceanview accommodations for school groups involved in Marine Studies, and also divers (10+). Large kitchen, common room and swimming pool. The Turks and Caicos Islands Football Association (TCIFA) is a non-for-profit organization in the business of football development throughout the Turks and Caicos Islands. The TCIFA has been in operation since 1996, and a member of FIFA, since 1998.